Sponsorship packages for SEMANTiCS 2018 have become available and can be booked from now on! 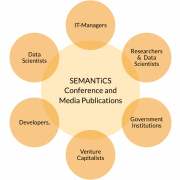 Packages include presence at SEMANTiCS conference ranging from top-level talks to slides on all displays in the conference areas as well as a broad variety of online marketing opportunities. These range from company profiles on SEMANTiCS.cc to highlighting your expertise and the value you create for your customers. For this purpose we offer interviews, news articles or expert talks. This blog post provides an overview of the sponsoring approach, the target group and sponsoring bundles. Curious for details already? Just visit sponsoring section right away! All activities SEMANTiCS sponsorship packages consist of are designed to raise awareness for your brand, products and their USP‘s among visitors of SEMANTiCS Conference, our website and social media channels. Our premium- and gold sponsors may reach a visibility as many as 80.000 impressions for their brand among members of the target group. Click on image to the left to see SEMANTiCS MediaFormats and respective leads to your business at a glance. 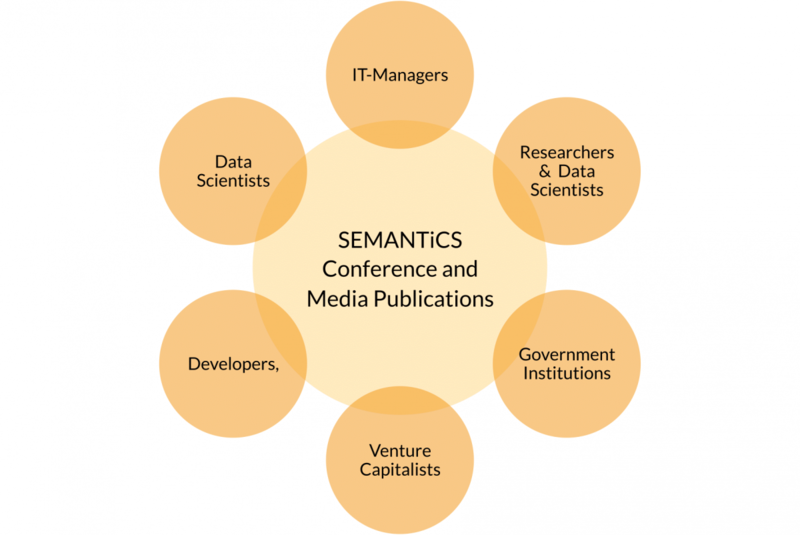 SEMANTiCS Conference‘s target group consists of a variety of actors at the cross-section of Academia and Business, the ideal environment for transferring knowledge and nourishing innovation. The image to the right provides an overview of SEMANTiCS' target group’s occupations and work-related areas (click to enlarge). 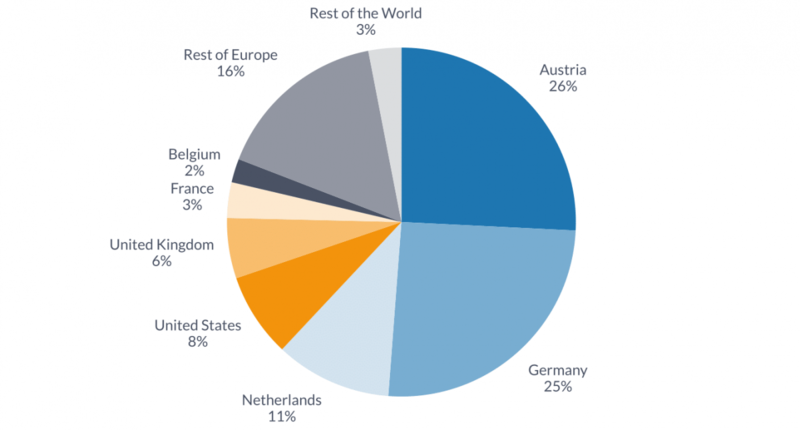 We expect about a quarter of this year’s SEMANTiCS Conference and online media visitors to be from Austria, another 25 percent from Germany. 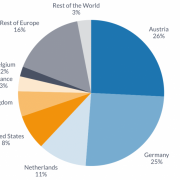 Netherlands, the United States and UK complete the list of the top five expected countries of origins of SEMANTiCS Conference and online media visitors. The chart to the left depicts SEMANTiCS' target group’s countries of origin (click to enlarge). Want to know more about our target group? --> Get SEMANTiCS 2018 sponsorship brochure NOW! SEMANTiCS sponsorship packages consist of a variety of bundled activities to raise awareness for your brand and advertise for your products and services. These activities range from online- and social media marketing measures to top-level talking slots, boothes, print advertisements and much more. The image below only shows selected activities of three of the five available sponsoring packages. Please visit the sponsoring section for information on all packages and included activities. 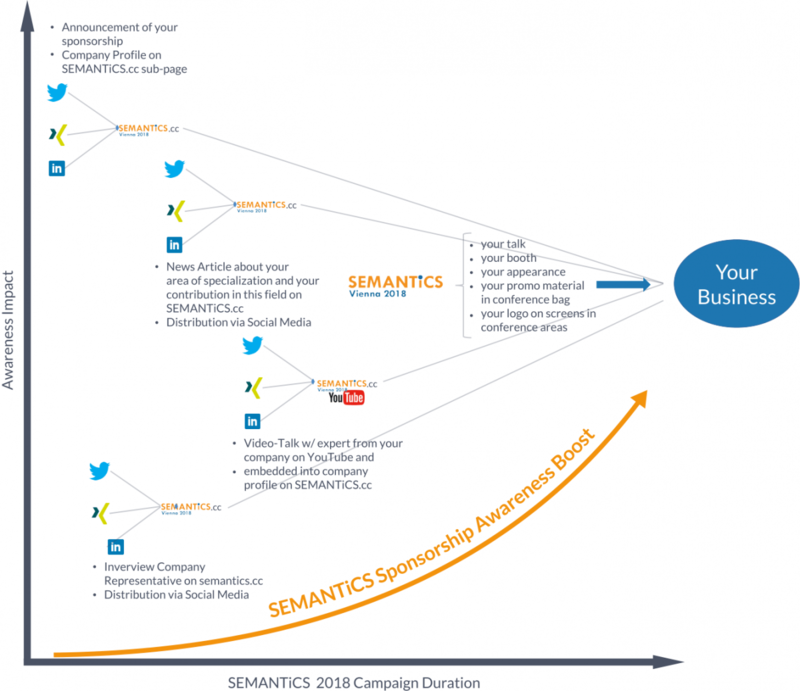 Are you interested in becoming a SEMANTiCS sponsor? Don’t hesitate to contact us right away so we can provide all the information you need. --> Just drop us an email to sponsoring@semantics.cc, visit the sponsoring section of our website or check out the sponsoring brochure.